A reissue of the classic report of Columbia's Bureau of Applied Social Research, outlining techniques for eliciting specific responses of individuals and groups to particular events and situations. The 1956 edition of this book may be regarded as seminal within sociology, spawning a whole field of qualitative opinion research that has continued to evolve through half a century of inquiry. 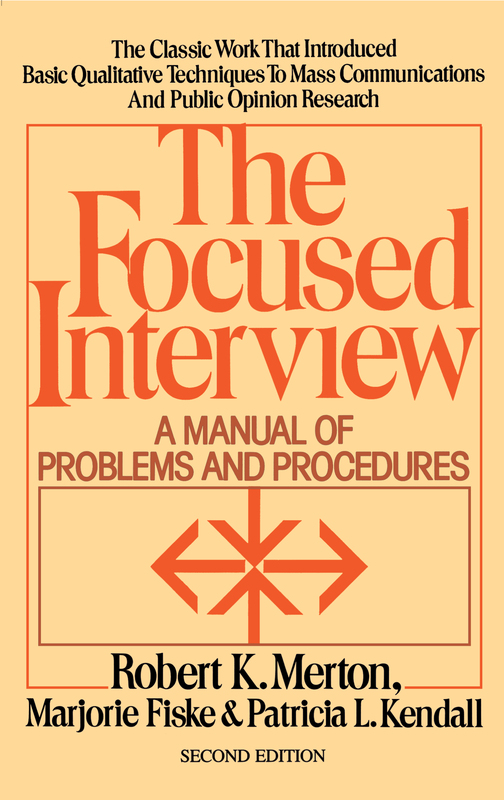 This is a reissue of the book, with a new preface by Merton, a select bibliography of writings on the focused interview and focus group research, and a new introduction that traces the diffusion of Merton's technique from sociology to other fields, including history, psychology, mass media and marketing research.